Very small and lightweight, the The PCC-200 Elite® Receiver features a patented correction scheme that adapts to your pets specific behavior. Our affordable PCC-200 Elite receiver collar features progressive and fixed levels of correction to match your dog’s unique temperament, as well as many more patented features not found in competitors' best products. If your pet comes too close to a restricted zone, they receive a warning tone. 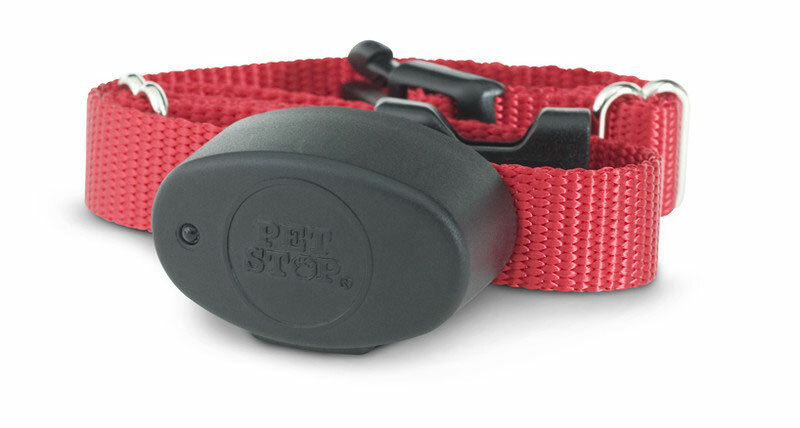 Unlike other systems, Pet Stop can progressively increase the correction level until they retreat. 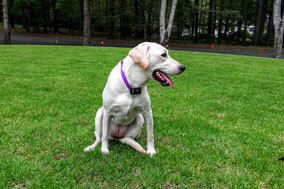 This preserves battery life and, more importantly, reinforces the initial training and conditioning your pet receives. Flashes brightly so you know when the receiver battery needs changing. Our patented Comfort Contact correction probes are made from a specially designed rubber that is more comfortable on your pet’s neck, and come in three sizes. Gentle Spring Contact posts also come in three sizes and are retractable, made to maintain skin contact no matter how thick your dog's coat - without putting undue pressure on the neck. Including our four sizes of stainless steel posts, that's ten different contact post variations designed to suit any pet. Compare that to the two sizes offered by competitors and you'll see that Pet Stop customizes pet containment better than anyone. Our receivers have three antenna with a full 360 degrees of detection. There are no blind spots or “holes” where the collar is not receiving a signal. From fire engine red to Kelly green, Pet Stop has the right color for your pets. All of our receivers come with a large choice of collar colors. Powered by lithium technology and selected for a wide range of weather durability, Pet Stop dog fence batteries outperform other pet fencing batteries, including lithium coin cells.